Okay, sitting down next to Tim and Josh and Seamus! Just got the "switch devices to silent" alert. Off we go. "Please turn all electronic devices to silent mode." We're only about five minutes away! I agree, Kit, only because we've seen what feels like thousands of leaks (but maybe really just one or two!) of the new hardware. What about anything else? AppleTV? @Derek_Kim "An iCar modeled after the Magic Mouse. My 2004 Pontiac Vibe just ain't cutting it anymore." -- So aerodynamic! And in a crash the other car would just run right over you. Would probably only get 5mpg if the battery life in the Magic Mouse is any indication, though. That is unflattering. But at least I'm comfy. @niladrihaldar "we might see a preview of the OSX Mavericks, possible final release date as well..." -- Pretty likely, I'd say. Maybe Tom Cruise will come out and make the announcement. We did already see Al Gore. Maybe he isn't the only celebrity. By the way, how are we doin'? With iOS 7, Apple adds ability to block certain contacts. It lets you block phone calls, Facetime calls and text messages from specific numbers. You can simply go to Settings > Messages to check your list of blocked contacts. 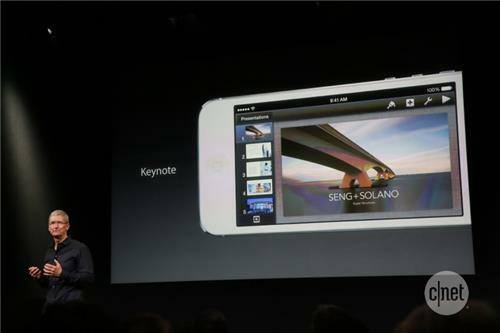 The new OS has dedicated Photo Booth and FaceTime apps. Never have I heard so much applause for Rush! We're now seeing how to make a Rush station, to get a "pure dose of awesome." Lots of laughs to that. "Good thing they turned the audio down or that would be a career-ending moment." 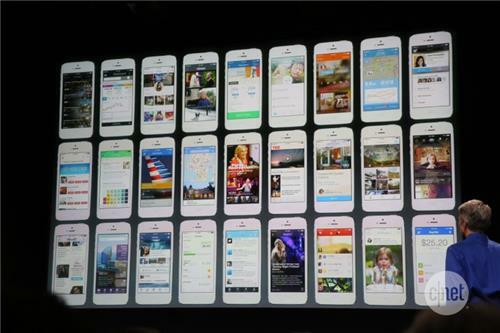 "Downloading iOS 7 is like getting an all-new device. One that's so much more useful and elegant than ever before." 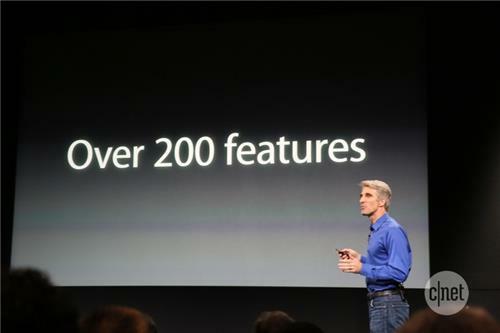 More than 200 features in iOS 7. 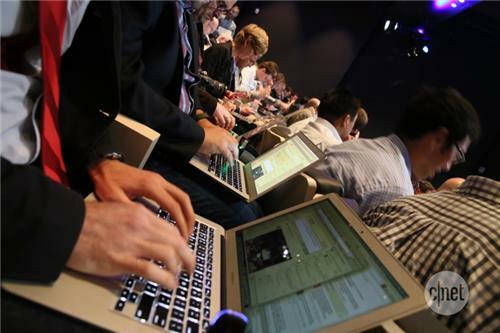 Developers' apps include OpenTable, Zillow, and NBC. "Great not just on the iPhone, but iPad as well." 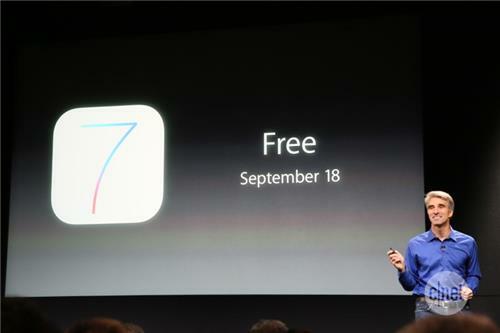 "As always iOS 7 will be available, unbelievably, for free, starting on September 18th." Sept 18. Okay. So, that holds true to last year. iPad 4 and later, iPad 2 and later, iPad mini, and 5th gen iPod touch. 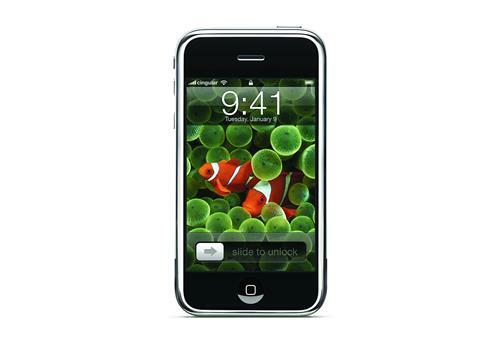 "Steve showed it with clown-fish wallpaper and some green sea anemones in the background. It was the same sample image I used: the black UI, the glossiness, the big numbers." 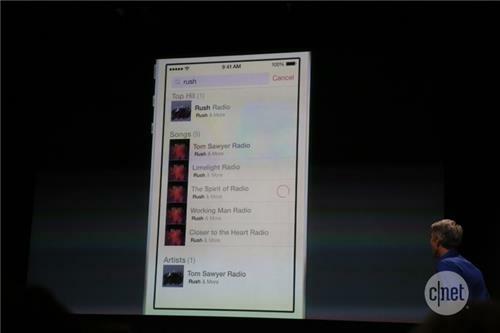 "iOS 7 takes great advantage of the expanded iPad canvas." 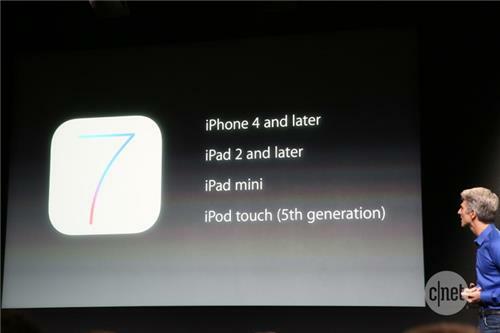 iOS 7 available Sept 18 for iPhone 4 and later, iPad 2 and later, iPad mini, and 5th generation iPod Touch. Craig is off, Tim is back! "This has been an incredible effort. I can't stress that enough." "We think our customers are absolutely going to love it." 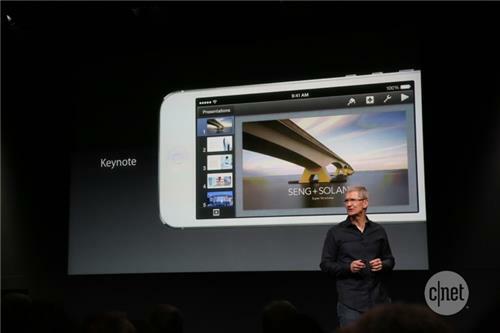 Now we're looking at iWork. "As you know, iWork was designed to take advantage of the iPhone and the iPad and to bring that power right to your fingertips." 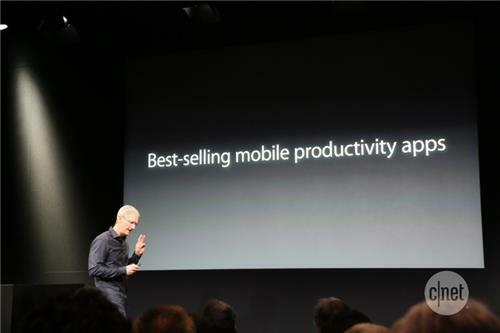 Tim is saying it's the best-selling mobile productivity suite. I'd love to see Pages be a little more integral to my iOS workflow. The most interesting thing to me about iOS7 has been that Apple didn't make the cutoff iPhone 5, or even iPhone 4S, but the iPhone 4. They really want to keep the most current OS running on as many devices as possible--a bit different than Google's approach with Android. Do you use Numbers/Keynote/Pages? Which one the most? 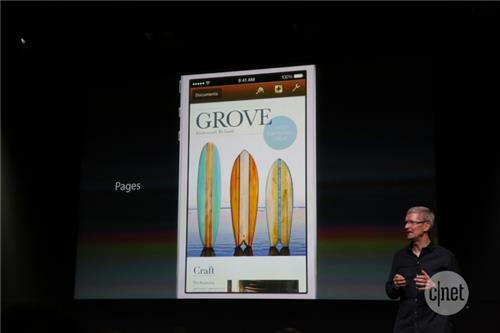 We're looking at Keynote, Pages, and Numbers. 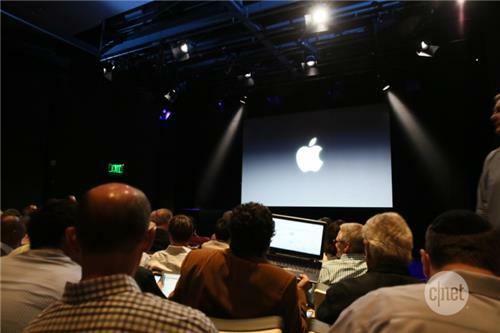 "Now, iWork highlights the fact that iOS devices aren't just great for consuming content. 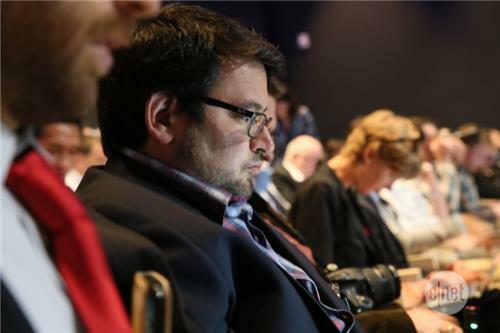 They're incredible for creating content."